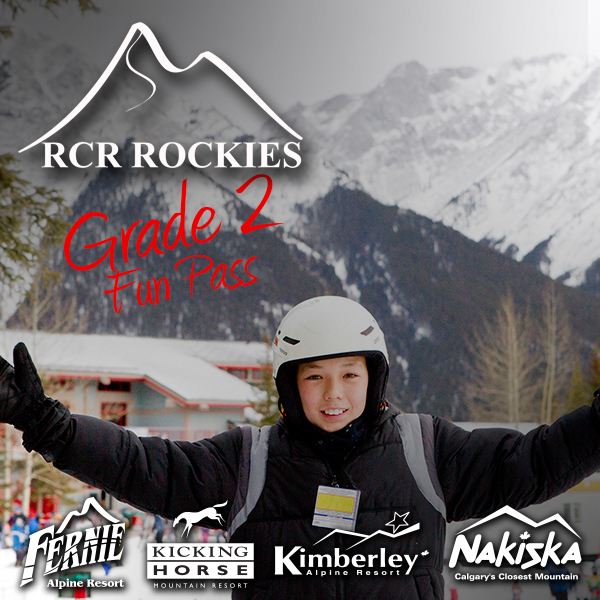 The Grade 2 Fun Pass allows unlimited access to all four RCR resorts including Fernie Alpine Resort, Kicking Horse Mountain Resort, Kimberley Alpine Resort and Nakiska Ski Area. Proof of age/enrollment in grade 2 required at time of pass pick up. Child must be enrolled in a Canadian school. 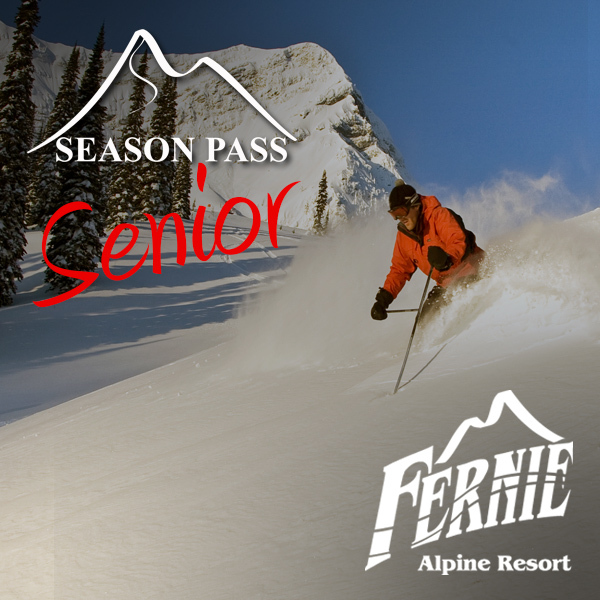 The Grade 2 Fun Pass allows unlimited access to Fernie Alpine Resort, Kicking Horse Mountain Resort, Kimberley Alpine Resort and Nakiska Ski Area from Resort Open 2018 to Resort Close 2019. Children are only eligible to receive the grade 2 pass once. Save $101 on a $500 Food and Beverage Card – Members can pre- purchase $500 worth of Food and Beverage for $399. Valid at any RCR food and beverage outlet. Voucher must be purchased at time of season pass purchase. Save up to 25% on Unrestricted Friends and Family Tickets – Members can pre-purchase RCR Rockies 4-Area tickets valid all season long for just $79.95. Must be purchased at time of season pass purchase. Limit of 6 for Individual Pass and 12 for Family Pass. No black-out dates apply on these tickets. 1 Free Tune Up – Buy 3 full tune ups for the price of 2, includes edge base and side, stone grind, Ptex and hot wax. Regular Price $179.97 member price $119.98. RCR Advantage – Free skiing at any RCR resort when your resort is closed including: Fernie Alpine Resort, Kicking Horse Mountain Resort, Kimberley Alpine Resort and Nakiska Ski Area. 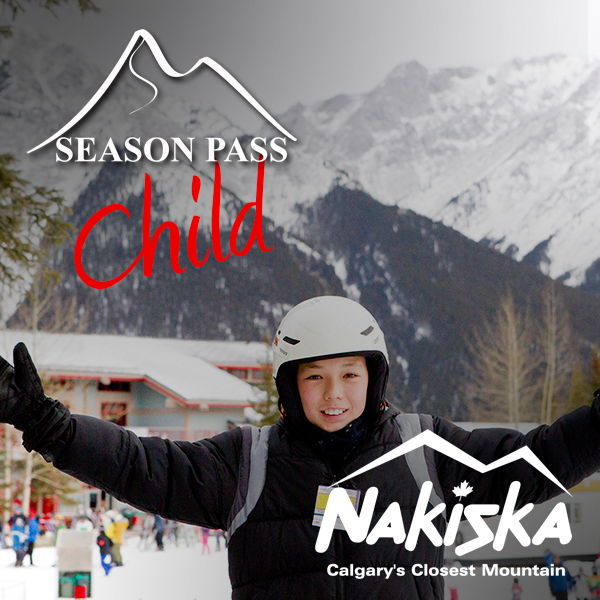 $20 daily discounts ($15 at Nakiska) on lift tickets at other RCR resorts when your resort is open. Save 10% on Retail – Discount on all regular priced retail purchases at RCR Retail Shops. Cannot be combined with any other offer or “sale” prices. *Some restrictions apply. Free Lanyard – One per passholder provided at pass pickup. Rental Discount – 10% off mid-performance and 20% off high-performance at all RCR Rental Shops. 10% off Daycare – At any RCR Resort Daycare. RCR Sticker – One per passholder. 10% discount – all RCR Food and Beverage outlets (not including alcohol). NEW – 10% off – Rollar wax and basic tune in all RCR Repair Shops. 20% off Priority Parking – Valid at Fernie Alpine Resort, Nakiska Ski Area and Lake Louise Ski Area*. 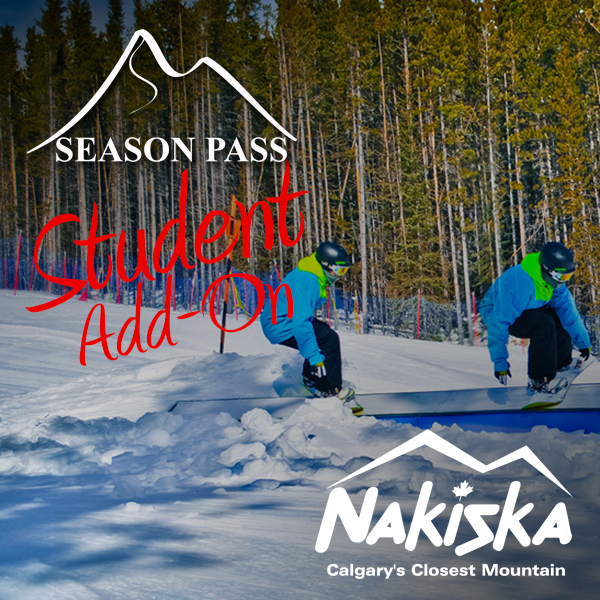 15% off Annual Locker Fees – Just show your pass! 25% off Kombi Gloves – From the regular price of any pair of Kombi gloves purchased at any RCR Sports Alpine Store and Kicking Horse Mountain Sports Store. 1 coupon with Individual Pass, 2 coupons with Family Pass. Valid until Feb. 28, 2018. Free Summer Single Lift Ride Ticket for Sightseeing or Hiking – Valid at Fernie Alpine Resort or the Kicking Horse Mountain Resort Gondola. 2 coupons with Individual Pass, 4 coupons with a Family Pass. Valid for 2019 Summer Season. RCR Winter Sports School Discount on Lessons –$25 Coupon with Individual Pass, $50 coupon for Family Pass. Coupon must be presented at time of payment and mentioned if booked ahead of time. Valid for Single Day Lessons only. Friends & Family 25% off Lift Tickets –Valid for 25% off regular priced full day lift tickets from Resort Opening 2017 to Resort Close 2018, minus blackout dates: December 15, 2017 – January 7, 2018 & February 16 – 26, 2018. 8 Coupons with Individual Pass, 12 Coupons with Family Pass. Buy 1 Round & Get 1 at 50% off at Wintergreen Golf & Country Club – MIDWEEK ONLY (Monday – Thursday, with purchase of one regular priced green fee). Buy 1 Round & Get 1 at 50% off at Trickle Creek Golf Resort – Valid anytime Monday –Thursday and after 1 PM Friday to Sunday and Holidays. Discounts at the Lodges of the Canadian Rockies – Receive a special Member Rate for Fernie Slopeside Lodge and Lizard Creek Lodge at Fernie Alpine Resort, as well as Trickle Creek Lodge at Kimberley Alpine Resort. More Hotel Discounts – Save at hotels booked through RCR Central Reservations for Fernie Alpine Resort, Kicking Horse Mountain Resort, Kimberley Alpine Resort and Nakiska Ski Area. Members also receive discounts at select hotels in the towns of Canmore and Kananaskis, AB, as well as Fernie, Kimberley and Golden, BC. *Member benefits are available for Adult, Senior, Student, Youth, and Family passes. 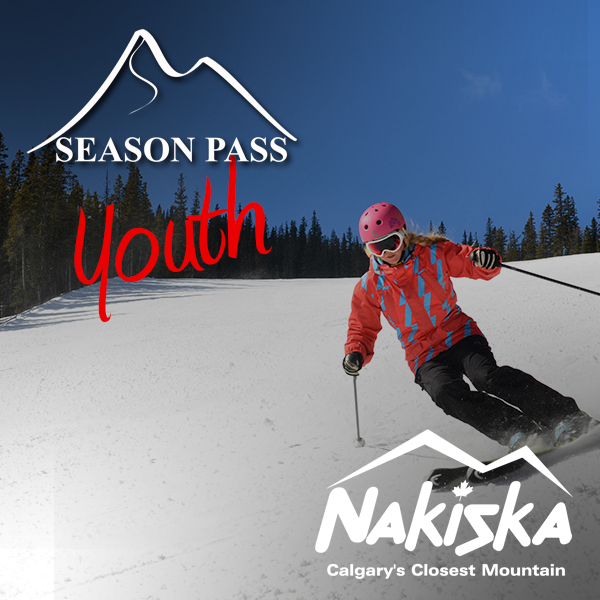 *To use Member Benefits at Lake Louise, one must be a Super Pass Holder.